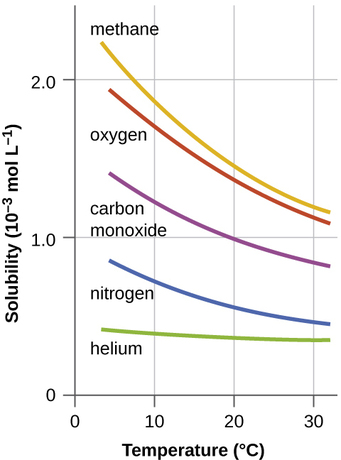 The above graph depicts solubility in water at various temps. If we are dissolving in polar water, why is methane more soluble than a polar molecule like carbon monoxide? Methane seems to dissolve more readily in cold water. Why? If CO2 is nonpolar how come much more dissolves in water than O2? why HI isn't fully miscible with cold water when HF is?